The smell of cigarettes, amplifiers and stale beer. Nietzsche, Van Gogh, Hendrix and Baudelaire. 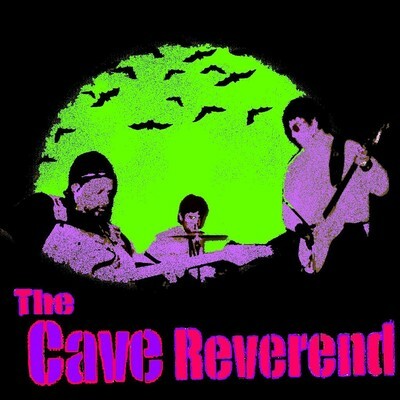 The Cave Reverend is a trio from Texas playing rough, raw, rock music accentuated by lyrics of extreme erudition. Blues-based and guitar-driven, yet melodic with a modern sound and message, the Cave Reverend is what rock music was supposed to evolve into. Jimmy (guitar, vocals) "Our songs document the self-destruction of our civilization; the hostility of society toward individualism and everything untamed; the fleeting nature of time and the transience of everything that matters to us ; the powerful desire of modern man to return to the safety of an idyllic past. Right? Oh yeah, and about giving mushrooms to beautiful nuns." Rabies (drums) "Yeeeehaaaww!!! Rock n roll!!"